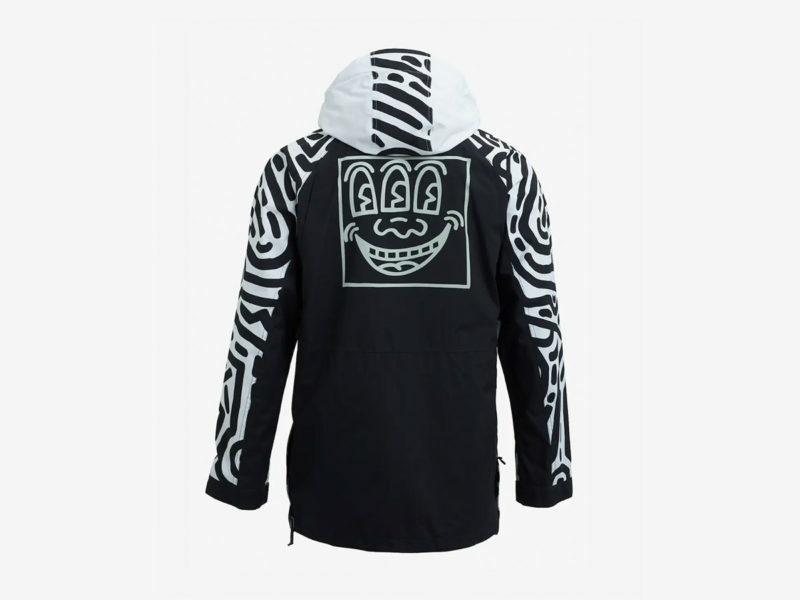 Burton’s new collection of snowboard, parka, and long-sleeve tee, bearing Keith Haring’s iconic art. 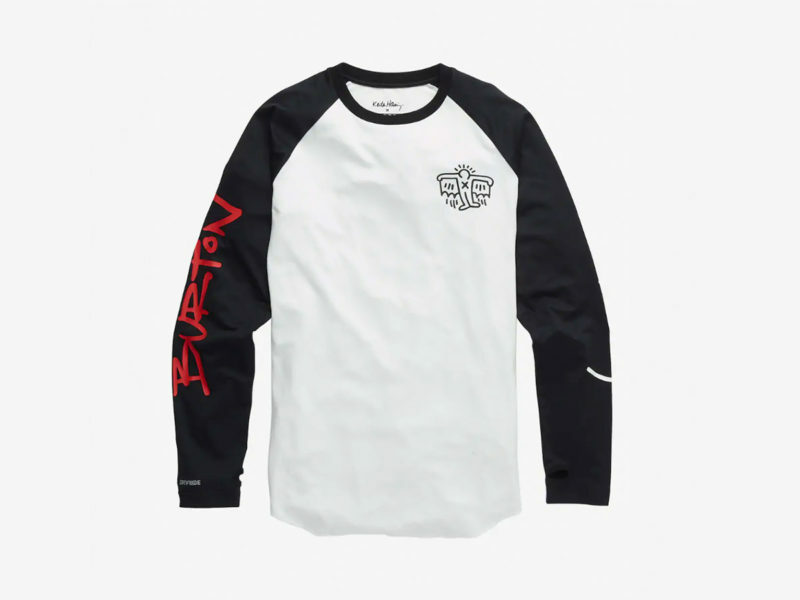 Although it epitomizes the pop art world of the 1980s and draws upon the power of the New York City graffiti scene that preceded it, the best work of renowned American artist Keith Haring continues to resonate today in an iconic fashion. 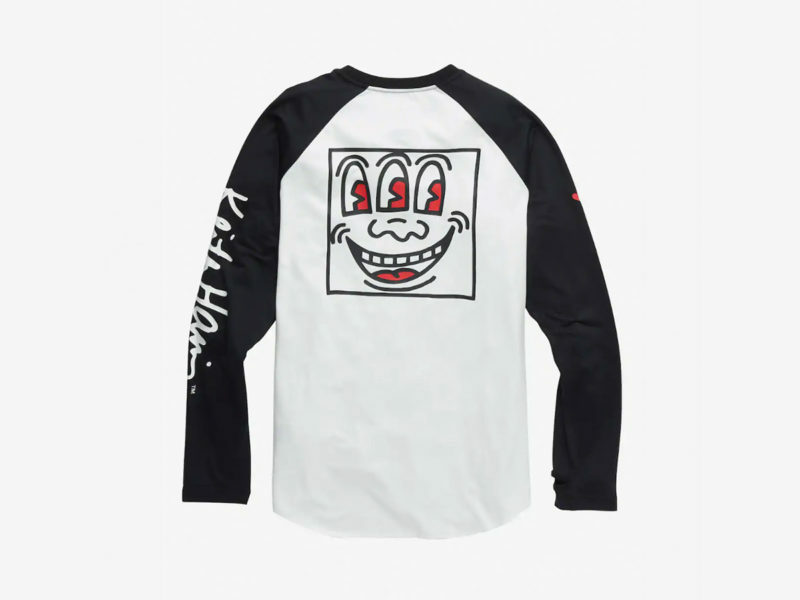 A new collection by Burton features images and patterns from this work and drives the association home with Haring’s instantly recognizable signature. 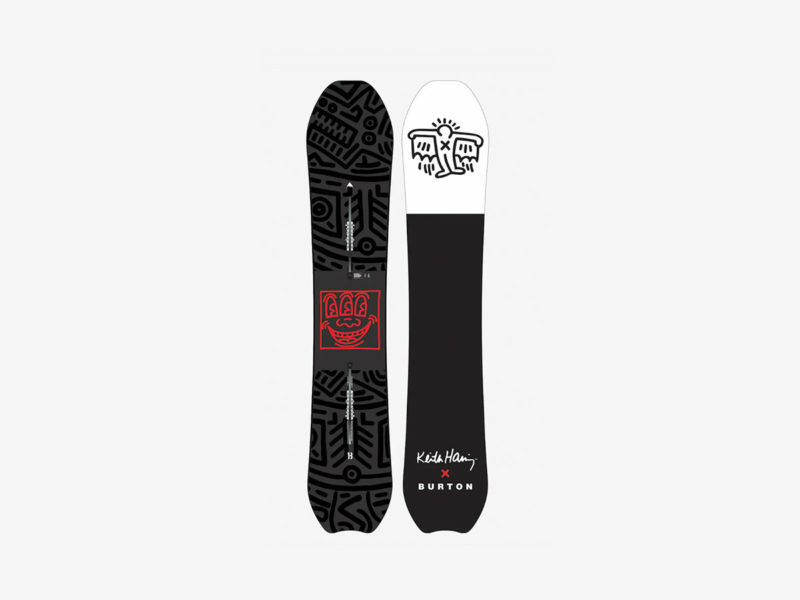 At the heart of this collection is the Burton Keith Haring Deep Thinker Snowboard – a Forest Stewardship Council-certified fiberglass board with a layer of pure carbon for weight reduction and a Super Fly II 700G core for exceptional strength. Haring’s artwork graces both the top and bottom of this black and white board with red accents. 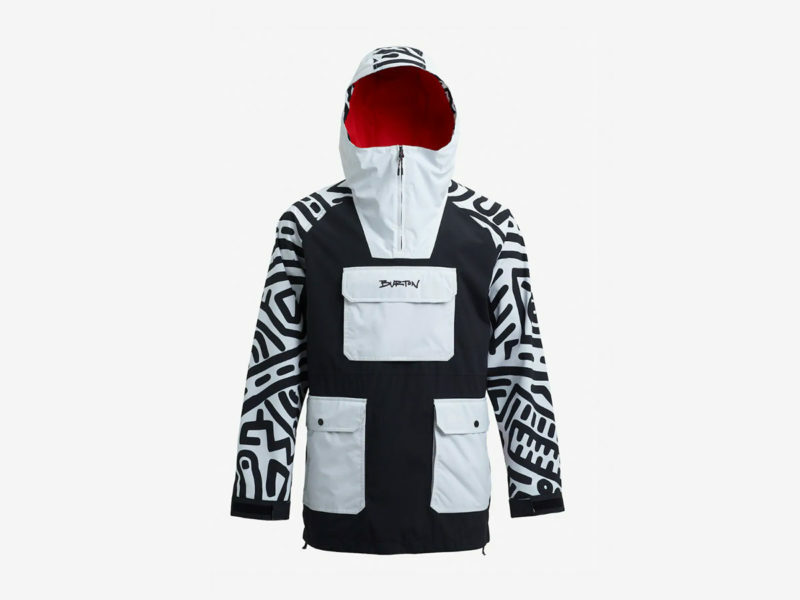 The Keith Haring x Burton Collection also includes a water-repellent Anorak jacket with a helmet-compatible Fulltime Contour hood and a DRYRIDE Ultrawick long sleeve shirt with an Agion Stink-Proof Finish.